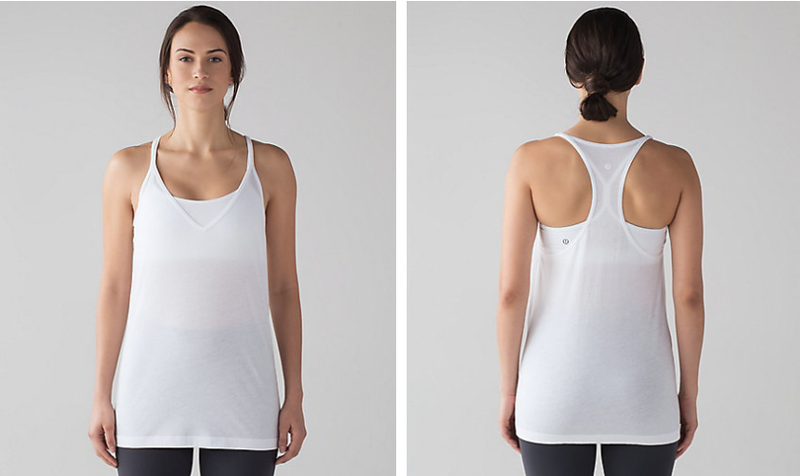 Cardero Tank, made of cotton. Cut Back Crop Tank. I might like this in a regular length tank. Dark Forest Swiftly Tank - I like this. On the Fly Short Woven. This is the swift-like material so lighter than the regular luxtreme. And of course, the new Enlite bra. Did you get anything? 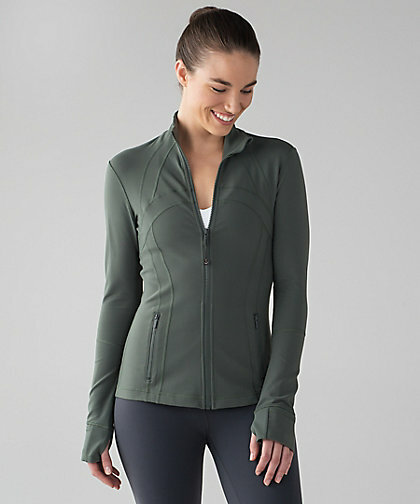 Nothing for me today, I made a big order from Athleta yesterday which I'll post about next. Nothing for me. I was really hoping for more items in quicksand. I ordered dark forest hotty hot to try. I heard lots positivity about new hotty hot and I like dark forest too. I hope it's better than the original version. Nothing for me. Was really hoping for Speeds in Quicksand. We haven't seen good colors in Speeds and I'm a little worried if they going to discontinue them??? I sure hope not, I love my Speeds!! I'm not a fan of that blue and green so I'll pass this time. 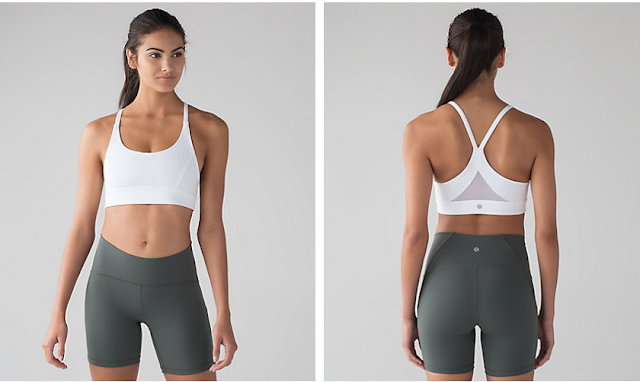 I was interested in the Enlite bra, but for close to $ 100 it better be the holy grail of sports bras. Waiting for reviews first. aereal blue is a very nice powedery blue. nice for late spring and summer. 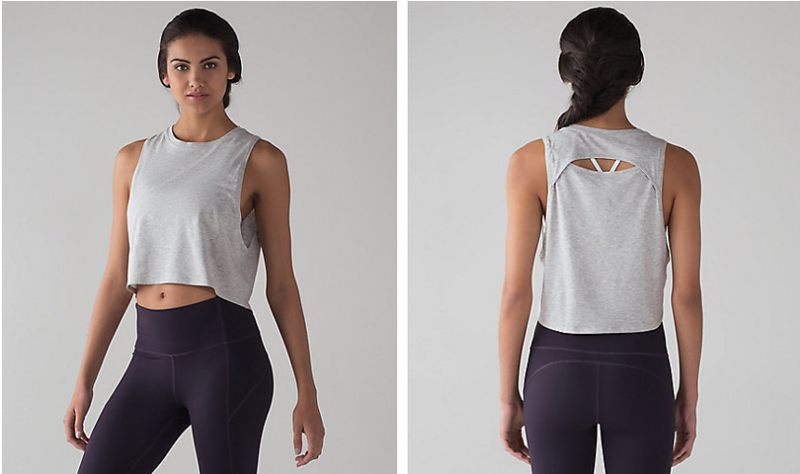 The enlite bra is on my list. I saw it in person at the 5th ave NYC store. It is well made and I think it can be worn on it's own unlike the tata tamer. I am really baffled by this "spring" color palette. I didn't order anything. That said, I picked up the concrete jungle alpine white wunder unders in the store the other day, and they are so much prettier in person. The website lately isn't doing much to sell the products. 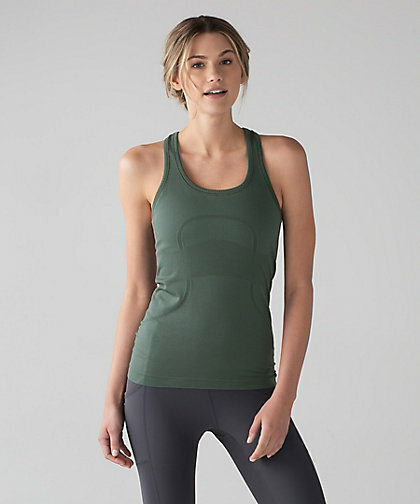 @MK - the biggest complaint I've seen of this bra [from non-lululemon] employees is that is near-impossible to get the hooks closed by yourself, if you are in your proper size. One woman told me her friend took 20 minutes at the try-on event they were invited to last week. Other than that, people seem to like it. @ anon 12:25 pm - "The website lately isn't doing much to sell the products." - you can say that again. 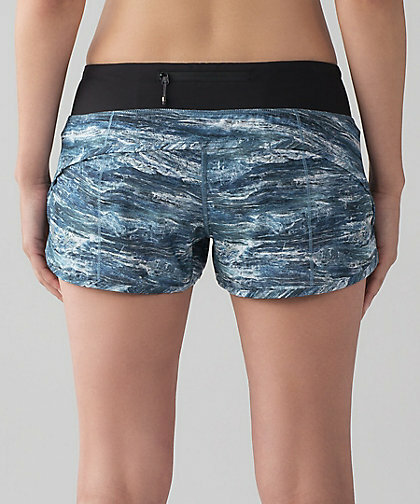 I've been all over the Athleta website lately and they a much better job of merchandising their goods. The stores used to do a pretty good job of putting up cute combos of the clothes on facebook but that seems to have largely died out. I love those speeds and going to get both. I am crossing my fingers that the fit will be great and I won't end up with baggy speeds. I like dark forest and might cave and get the LS swiftly. 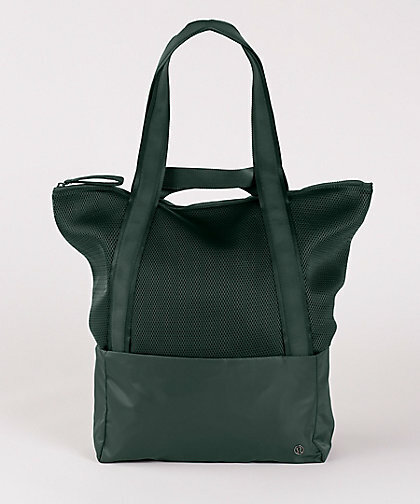 I like the tote but it might be too small. Plus I cycle spring through fall so not really a reason for me to acquire it. Though I do need a new shoulder bag otherwise; just not sure it will be suitable for yoga practice whcih would be the primary aim. I like the powder blue colour but would only want a CRBi not CRBii. 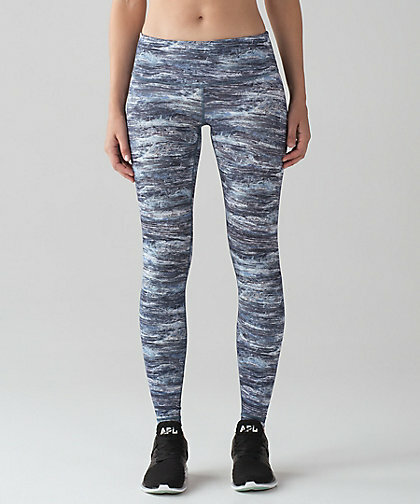 Oh wow, that striped vinyasa is back? I am pretty sure that is a repeat of one from a year or two ago (a few are on ebay for a high price). 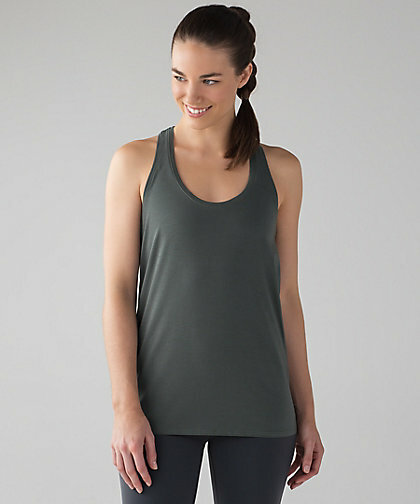 I do love that the vinyasa is back, I picked up the heathered dark grape (? purple) one. 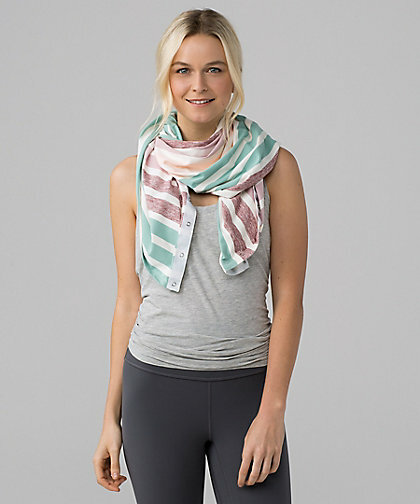 That vinyasa scarf is an old pattern!!! Can't u come up with new colors Lulu?! That vinyasa scarf is old stock. I bought it on mark down last year. @ anon 7:36 pm - I am really liking the Dark Forest Swiftly on everyone who has posted try on photos. There is a review on YouTube by Keltie O'Connor.